Welcome to SCUBA News. This month we are delighted to have an exclusive interview with Beth Tierney, co-author of Diving the World. Discover how she got into making a living by diving and writing about exotic places. 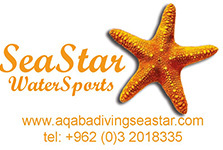 Discover the Red Sea in Jordan with Aqaba's longest running PADI 5 star IDC centre. 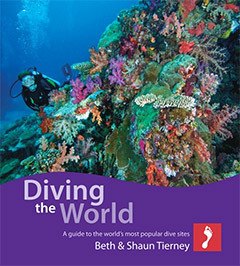 Along with her husband Shaun, Beth Tierney is co-author of the popular Diving the World. Jill Studholme interviewed her for SCUBA News. What makes your book different from other books about diving around the world? There are two principals we have stuck to ever since the first edition. Right from the start, we asked other divers where they had been and where they were diving next. And then we focused on those places people actually want to go to and can afford to go to. Let's face it, we would all love to dive the Antarctic, but few of us will win the lottery this week! The other thing is that we can say - hand on heart - that there is nothing in the book that we haven't personally done. If we haven't dived the country or a specific site, we don't write about it or pass opinion. It makes the guide unique. Yes, it is personal to us and our experiences but at least readers know we have said it because we have done it! This is the third edition - did you have to revisit all the dive sites in the original book and have you added any new areas to the book? Wouldn't that be a wonderful thing! I love the idea of going back to everywhere again, but sadly, that's not practical for every edition. However, we have dived almost everywhere more than once and revisited some places specifically to make sure we are up-to-date. Jordan is a good example, it was our first ever foray into the Red Sea but it didn't go into the first two editions. However, this time around, we found it was hitting more wish lists so we went back and checked it out. And yes, it was as good as we remembered it. Always a hard one as we tend to hold off making plans to see what new things crop up - if a different destination or new liveaboard appears, we can just hop on. However, we are both quite keen to go back to Papua New Guinea where there is a mix of reefs and wrecks and it is never that busy. 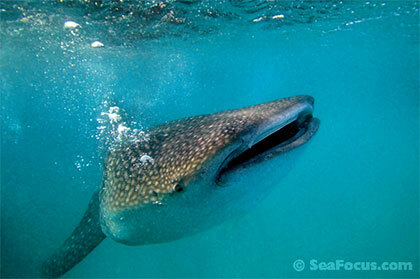 We would both like to revisit Truk Lagoon or perhaps explore the Malpelo in the Eastern Pacific. We have been fortunate to never have any really serious dramas, although there have been plenty of small ones that make hilarious dinnertime tales. As for bad dive experiences, the hardest one was a dive in the far south of Indonesia in the Indian Ocean. We were heading for a pinnacle beyond the surf zone with no land in sight. When we reached it and entered the water, all was calm but as soon as we reached about 25 metres there was a phenomenal tidal change that hit the pinnacle as a 5 or 6 metre surge. One minute we would be at 24 metres, and then in seconds were thrown up to 18 before dropping rapidly to over 30 metres. It was terrifying and hilarious all at once. Trying to abort a dive like that is nigh on impossible too as our computers screeched non-stop. We ended up clinging to rocks on the pinnacle and slowly working our way up, ending with just 12 minutes of deco-time. Phew. Great photos are a hallmark of your books, what photographic equipment do you use? The images in the book have been taken over quite a few years so some were on film. Way back when, Shaun used a Nikonos V and a Nikon F90 in a Sea and Sea Housing. When he went over to the dark side (oops, digital), he stuck with Sea and Sea housings as he feels they are the most ergonomic and simple, incredibly well built but good value. His first digital SLR camera was a Nikon D200 and he has a D300 as well. Now that the new book is finished, what projects have you in the pipeline? At the moment, we are working on converting our previous guide, Diving Southeast Asia to a digital version. This means going back over all the factual content to ensure it is still correct (or fix what has changed) then we also updating the operator listings. We are hoping it will be available before Christmas this year. What do you do for recreation when you are not diving? We've recently bought a new house in the wilds of Dorset (UK), so life is currently all to do with renovating and gardening. We are lucky enough to have a stream though, with all sorts of wonderful wildlife - crayfish, kingfishers and water voles - so we are not completely missing the marine world. I am contemplating putting my Canon S110 in it's housing to see what I can get when I go paddling! Most people would like your job - diving exotic places and writing about it - how did you get into it? Way back in the 80s we did a round-the-world trek spending long spells in the tropics, floating over vivid coral reefs and wishing we were down below with the divers. At the time our budget didn't extend to learning to dive but within months of returning to London we signed up for a BSAC course, did our first open water dives in the Maldives and our qualification dives in Cyprus. As the years went by, we became increasingly involved in the diving world as a photojournalist team: Shaun's first career was as a studio photographer and Beth worked in advertising and marketing as a consultant to the travel industry. In the early '90s, we took a 'career break' and aimed to dive our way around the world. We didn't manage to see as much as we wanted but it was a great year. 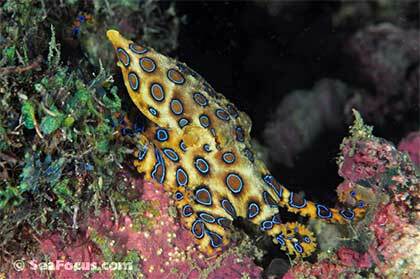 Since then, we have become PADI Master Scuba Divers and our work has become increasingly focused on dive travel books plus we run SeaFocus.com. You can order a signed copy of Diving the World from the Tierneys' Sea Focus website. It is also available with 11% off from Amazon. As well as information about over 275 dive sites, the book covers: local customs; suggestions for dive centres, accommodation and restaurants; information on what to do when you're not diving (useful for non-divers travelling with you) and anecdotes about the diving. The authors have dived, reviewed and photographed every site in the book. The new edition is out 10 November. 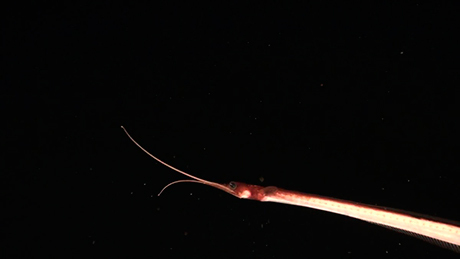 Marine conservation group Oceana have found an amazing array of marine life in their recent scientific expedition around the Canary Islands. 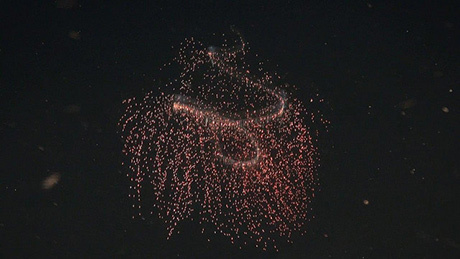 Using ROVs (remotely operated underwater vehicles) down to 1000 m as well as scuba divers to shallow depths, they documented large colonies of deep-sea white coral, crystal aggregations of sponges, dense forests of black corals, oceanic puffers, giant foraminifera, carnivorous sponges and sharks, as well as many other biological communities and species in the south of the El Hierro Island. 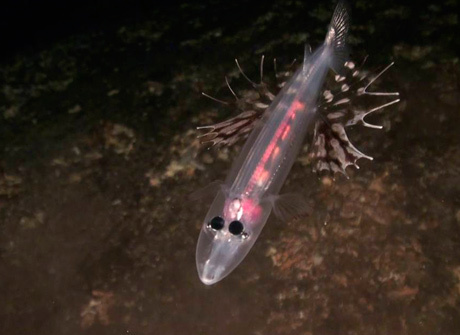 "Although there are some habitats that are specific to certain depths, in all dives and environments we have documented many different species, demonstrating the richness in biodiversity of southern El Hierro", says Ricardo Aguilar, Research Director at Oceana in Europe. 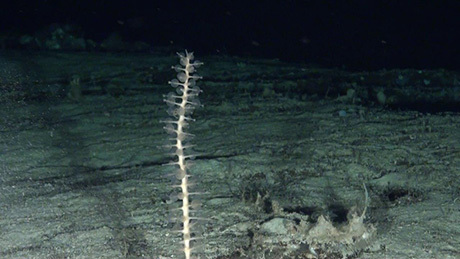 "With information gathered from this expedition, we intend to promote the creation of a marine national park in the southern part of El Hierro island; the first one in Europe." El Hierro boasts highly diverse and valuable marine habitats and species, which led Oceana to propose the protection of its waters in 2011. Earlier this year El Hierro became the first island in the world to use 100 percent renewable energies, making the island unique from an environmental point of view. 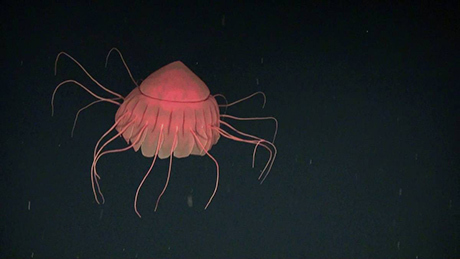 As well as documenting the sea life around El Hierro, the expedition is exploring for the first time seamounts in the Eastern Atlantic. These have hardly ever been filmed before. 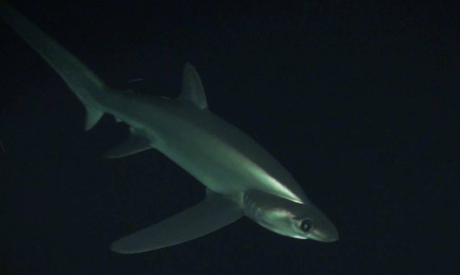 The Canary Islands and their adjacent seamounts hold the most diverse elasmobranchs (sharks and rays) community of the whole European Union, with up to 79 species identified. Oceana was founded in 2001 and is the largest international organization focused solely on ocean conservation, protecting marine ecosystems and endangered species. Help create a scuba diving community at Tsu, and earn money in the process. Tsu pay their users percentage of their revenue: the more interaction your posts get, the more you earn. EU does away with the wasteful practice of discarding through the introduction of a landing obligation. Hundreds of basking shark 'and maybe even white sharks' make Malin Head in Donegal ideally suited to a 'Shark Park', according to a world-renowned expert. California anglers will be restricted to just two bluefin tuna per day instead of 10. But is it enough? Should sport fishermen be allowed to catch any of a fish whose population is in collapse? It has long been known that pollution is having a devastating impact on the Great Barrier Reef but now scientists are warning that it may also be dramatically increasing the rate of ocean acidification in inshore areas of the region.